The China-Pakistan Economic Corridor (CPEC) is a mega project which will link the Gwadar Port in southwestern Pakistan to China’s northwestern autonomous region of Xinjiang via a vast infrastructure network. The 3,000-kilometre network due for 2030 will throw open avenues for commerce and cooperation with China, hosting roads, railways and pipelines as well as power plants that will generate 16,400 megawatts of electricity for the energy-starved South Asian country. However, political bickering inside Pakistan about the route the project should take has cast doubts over its very viability. The CPEC was first proposed in 2013 by Chinese Premier Li Keqiang and the joint project is estimated to be worth $46 billion at current rates. China has a keen interest in the Gwadar port and the CPEC is part of its plans for a broader Silk Route Economic Belt to power Beijing's Westerly trade over land and sea. China has specific objectives. 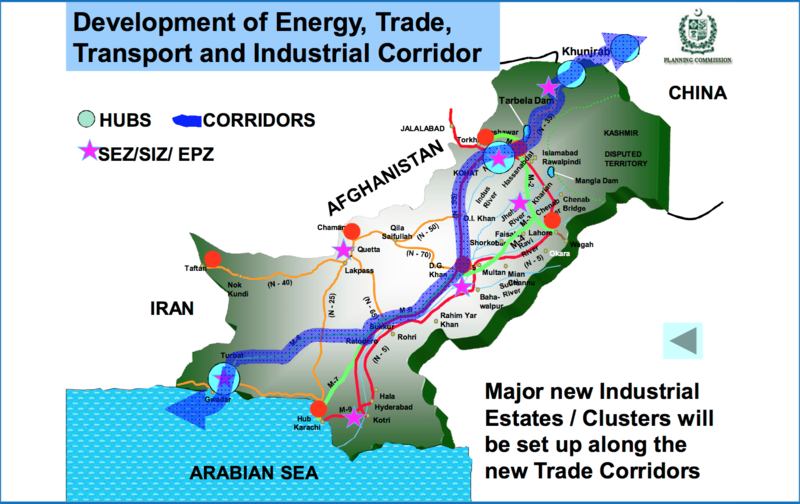 First, the Corridor, part of President Xi Jinping’s pet project of the Silk Road Economic Belt and the 21st-Century Maritime Silk Road, exploits Pakistan’s strategic location to bypass the ‘chokepoint’ of the Malacca Straits. Rerouting part of its energy supplies to Xinjiang from the Persian Gulf via Gwadar shortens the distance by several thousand km and lessens the transport time by about 10 days. Second, the Corridor will unlock the potential of landlocked western China, especially Xinjiang. Third, by establishing its physical footprint in Gilgit Baltistan, China hopes to cut off the ingress and egress of Uighur militants enroute to Afghanistan and Pakistan for jihadi training. But the main hindrance is the fact that Pakistan's restless political factions have been unable to agree on a route for the CPEC. 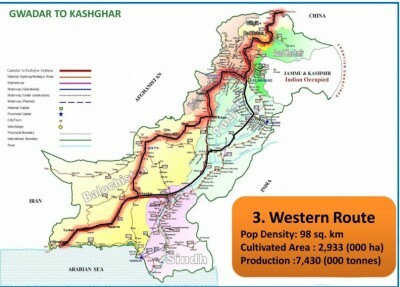 The Pakistan government initially promised a CPEC route that went through western Pakistan via Zhob and Quetta, which could help to develop the less privileged Khyber Pakhtunkhwa and Balochistan provinces. This ‘central route‘ can be seen on the map below featuring the Pakistan Planning Commission's official logo. Subsequently, however, other versions of the corridor route have emerged. 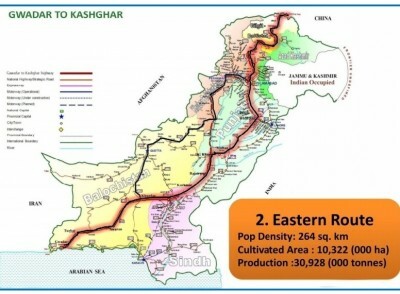 One ‘Eastern Route’ would pass through Multan, Faisalabad, Pindi Bhatia and Rawalpindi, while a ‘Western Route’ would pass through northeastern Balochistan via the towns Kalat, Quetta and Zhob. On December 30, 2015, Prime Minister Nawaz Sharif inaugurated the Western Route of the China Pakistan Economic Corridor (CPEC) in Balochistan's Zhob and emphasised that Balochistan's development was his government's top priority. But critics maintain the federal government is prioritizing the ‘Eastern Route’ that is cheaper and faster as it runs through areas with pre-existing road connections. 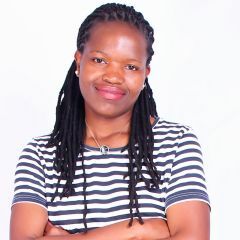 That would imply that the corridor will be routed through areas of the country that are already relatively developed raising tensions between the centre and more peripheral regions that already feel economically and politically marginalized. Prime Minister Nawaz Sharif’s inauguration of the Western Route was just a joke and nothing else because all development projects are planned on the Eastern Route. Highlighting the disagreements surrounding the route, the Balochistan government's research report on the CPEC that dismissed the Eastern Route was not accepted by the central government when it was submitted last year. In an all-party conference in May last year different parties agreed that the government should remain committed to a corridor that will benefit Balochistan. However, the Minister for Planning and Development Ahsan Iqbal warned at the conference that the corridor was not confined to a specific route, rather it was a concept that encompassed all areas of the country. This means that all three routes will be plotted amid fierce regional politics and an almighty scrap for Chinese investment. Moreover, the CPEC will face other challenges, including militancy vis-vis the Western Route and recurring natural calamities along the Eastern Route. Opposition parties tend to believe the government's development plans favour the relatively prosperous Punjab region while ignoring the rights of smaller provinces. Indeed, some analysts are calling for authorities to remember the history of Bangladesh, once a part of Pakistan until it broke off and declared independence amid tensions and subsequent war with the central government. 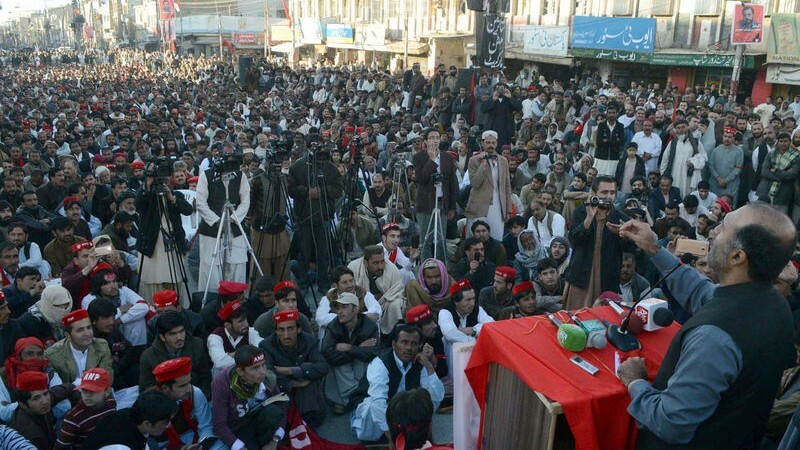 Her party, which claims a large following in Balochistan and Khyber Pakhtunkhwa province, is promoting the hashtag #ANPAgainstRouteChange in protest. Worryingly, regional politicians such as Khyber Pakhtunkhwa's Chief Minister Pervez Khattak are already complaining of being cut off from the decision-making process relating to the route. The CPEC is a project that could potentially transform the Pakistani economy and bring economic opportunities to some of the country's most remote and troubled regions, even as it expands Chinese influence in the region. However, if the federal government does not consider the concerns of the federal units about potential changes of the route, the mega-project could end up causing far more strife than it saves.